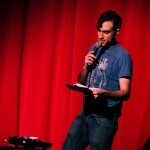 Having watched Beardyman on YouTube we had an idea of what to expect this evening at The Epstein Theatre; an all-round show of slick beatboxing skills, madcap musical invention and comedy. 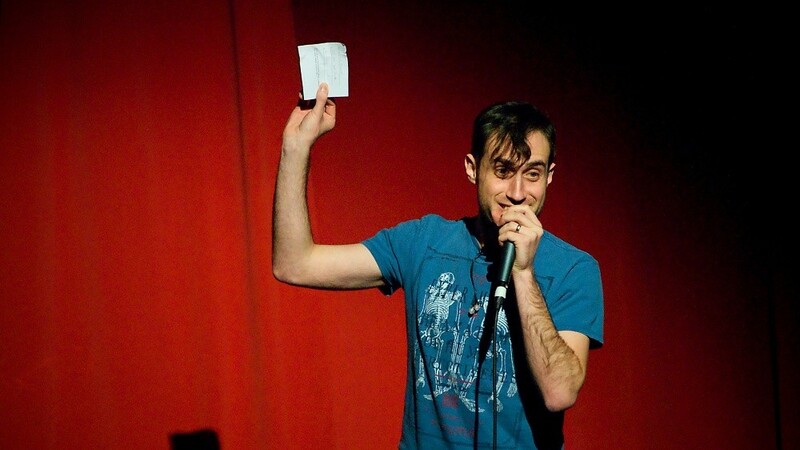 Beardyman aka Darren Foreman started his beatboxing career using just a microphone and his voice, becoming the UK Beatbox Champion in 2006 and 2007. 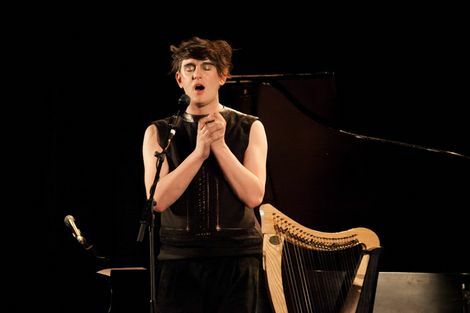 Progressing onto Kaoss pads, he evolved his act to include looping, building more elaborate and multi-layered tunes. Now he has taken it to the next level with a full rig he calls The Beardytron5000, incorporating a bank of iPads, a couple of laptops, a keyboard, a midi controller, a mixer and a whole host of effects. He has now entered EDM territory. 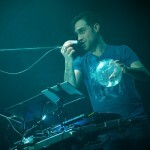 One Album Per Hour is Beardyman’s latest music comedy show. 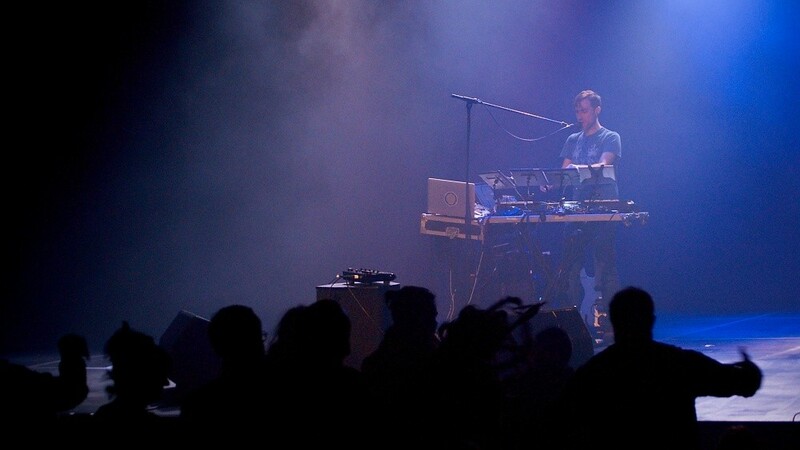 The premise: improvise an entire album from audience suggestions using all the skills and equipment at his disposal. Before the show the audience is asked to write down three song titles, songs that don’t yet exist. Foreman then selects, at random, a title from a glass bowl to create the next track and before our very eyes an album is written. 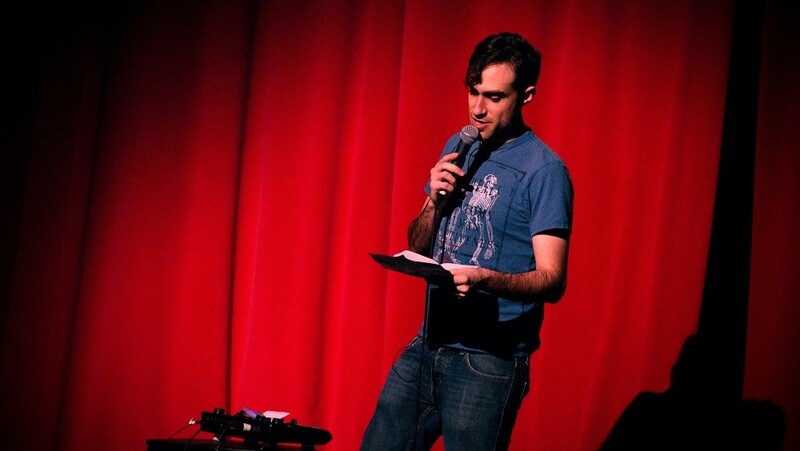 Before kicking things off he chats with the audience, gives us a bit of old-style beatboxing and reads out some of the rejected suggestions, one most notably being I Saw My Nan’s Profile on Tinder. Foreman unveils the Beardytron5000 to billowing dry ice and the ominous strains of Penderecki’s Threnody to the Victims of Hiroshima. It is quite a reveal. The first suggested track of the album is Ambient Mathematics, a glitch/ambient/breaks hybrid that is fluid and evolving, passing through numerous genres on its journey. His playful nature ensures the show is swept along at a mighty pace. 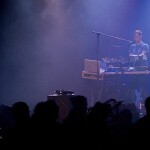 In between songs he talks to the audience, riffing on ideas and performing sound effects and song vignettes while preparing for the next track. The performance is musically accomplished, we mean seriously inventive and performed like a major MC playing to a booming club crowd. 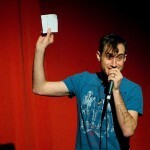 His interactions with the audience have the wit, poise and confidence of a stand-up comic. Think Whose Line Is It Anyway? with an Aphex Twin-esque rig and you are pretty close to what Foreman pumps out. The collaborative element of the show is a strong point, we all feel part of the songs produced (even though our contributions are minimal) but Foreman‘s act is so inclusive it’s difficult not to feel involved in what is transpiring on stage. This is a form of sonic Tourette’s. Everything in his head is spewed out and requisitioned for musical improvisation. Constantly flying off at tangents with utter abandonment, it appears, sometimes, that Foreman gets lost in his own world before dragging himself back into the room like a medium snapping out of a trance, and pushing on with the show. This kind of side-tracking is the heartbeat of the show, creating forward momentum. Foreman segues into performing a middle class rap at one point, “Hello there listen to me I’m the world’s first openly middle class MC. Yes I feel this pressure’s mounting, my name’s Nigel, I’m from accounting…“. It’s like watching his ideas sketchbook performed before our eyes. As if he has multiple personalities all jockeying for our attention and wresting control of the instruments to create ‘their’ song. Only years of performing can hone that level of invention and super-confident delivery. Over the couple of hours of his set he blasts through Wrong Kind Of Sunshine (Nu Rave/Breaks/Dubstep), I Love Pretty Daisies of Death (Metal), I Don’t Like Cheese on the Bone (Raga), How Not To Rap, Cat, 29 Marshmallow Smiles (Zombie-Calypso), My Morals Were Determined by 80s Action Films (Polyrhythmic-Tribal/Raga), Have You Ever Seen The Stars In Your Mind (Extra Psychedelic Acid) and The Tornado of Turtles (Rave/Techno). There’s your album right there, all made-up on the spot. An encore is demanded and duly delivered and the crowd roars their approval. The night ends with most of the audience standing, dancing and bouncing with arms in the air to a full-on improvised rave. 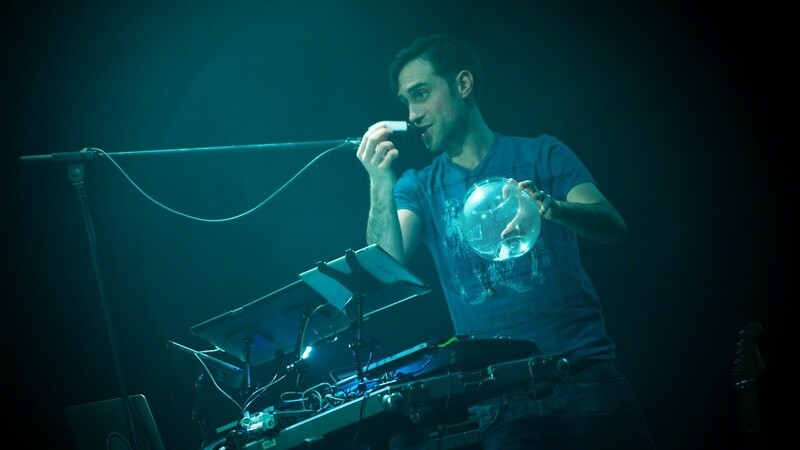 It’s a dazzling show of technical brilliance and improvisation from Beardyman and it’s a whole lot of fun. Previous ArticleTurbonegro return – but have they fallen flat with latest single?